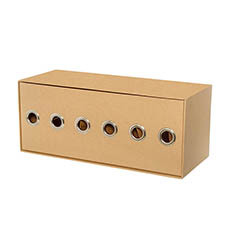 A stackable ribbon stand is perfect for arranging, organising and displaying ribbons either in your store or at home. Easily organise and display ribbons for sale in shops and stores for your customers. Use a ribbon stand to coordinate and arrange ribbons for use at home. 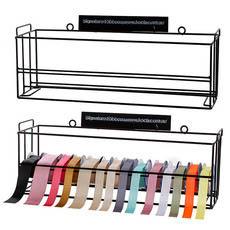 Since Koch & Co’s ribbon stand is stackable you can buy multiple at a wholesale price to be used in your shops for displaying your array of ribbons, or just one for personal use at home.